Whats involved with lowering heels? 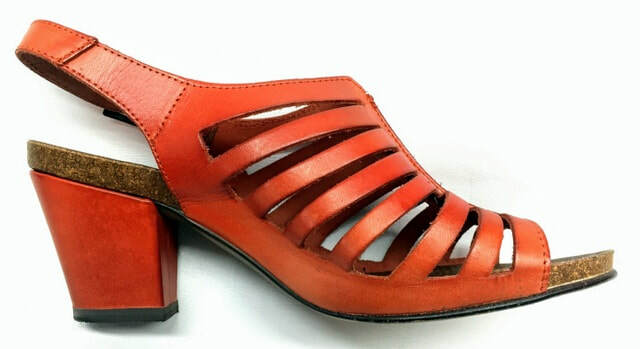 The orange sandal above has had the original heel cap removed then approx 8mm cut off the bottom of the heel block and then a new heel cap put back on. Try different thickness's to see what is comfortable. Please ask your question about lowering your heels or other shoe repair question. Send a photo to lowerheels@shanes.co.nz for more help, or bring them in and we will help you work it out. Our customer Paula, has an eye for picking interesting shoes and isn't scared to have them altered. You can have heels lowered that are already fairly low. We took about 10mm off these.